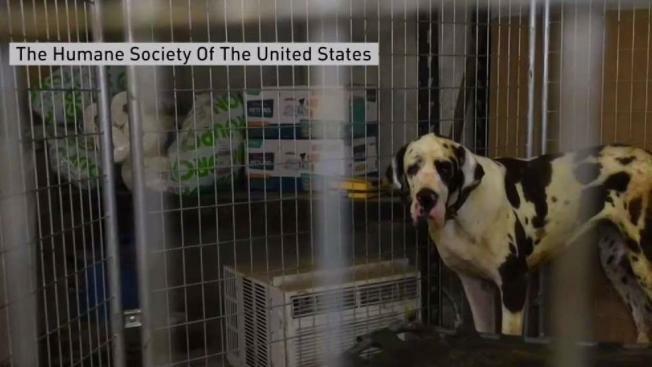 A judge says a woman who had dozens of filthy and sick Great Danes living in her New Hampshire mansion will serve no jail time for animal cruelty but must pay nearly $800,000 for the care they received after being seized. Authorities took 84 dogs from Christina Fay's Wolfeboro home in June. They say the animals were living in filth and suffering from health problems. Several died. Fay said she loved the dogs and pleaded not guilty. Judge Charles Greenhalgh convicted her and on Thursday refused her request to have the dogs returned to her so she could find homes for them. He said the Humane Society would handle that. Fay plans to appeal. She says she was the victim of an unfair trial and misleading testimony.